The usual night by night recaps got put on the back burner this year. It must be that new Facebook page that is taking up the coaching staff's time each night (or maybe just the 10:30pm arrival time back at the hotel - and pure exhaustion!). I did however, want to get some highlights written down as I never want to forget the 2014 NESCAC championships. 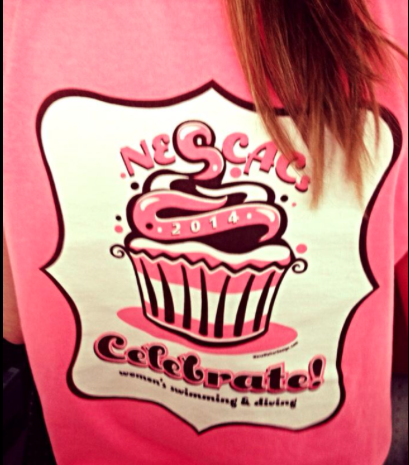 First off, the theme of this year's meet was two-fold; trust your training and celebrate. I wanted eliminate all worries about what place we got, or what heat they ended up in, or even what time, or score, they received. We came to Williamstown, MA for one true reason - and that was to perform at our best, and reach our potential. That is how we have defined success here... and we have celebrated that in the years we ended up 10th and the others when we ended up in 5th. Places, wins and losses, well, that will take care of itself. It always came down to never ceasing to be your best, always believing in yourself, and swimming for your teammates and the college. That is how we would judge ourselves. What you can't control will never take away from our definition of success. We've held our head high like we won the meet almost every year I have been here. That proved to be a relevant message as this meet ended up being defined by adversity and challenges as much as hugs and high fives. For example, every coach wants a 4 hour bus trip to turn into 8 because of a blizzard, right? Heading to the pool at 5:30 right off the bus only to hear almost every athlete tell you they felt pretty awful the night before the biggest meet was exactly how we planned it, correct? This group wasn't fazed. They showed up the next morning and saw everyone drop time. They went 20 lifetime bests. 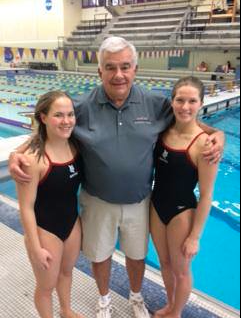 They broke school and pool records. They popped B-cuts and they sent 21 back to finals to compete again. Seven of them were in the top 8. 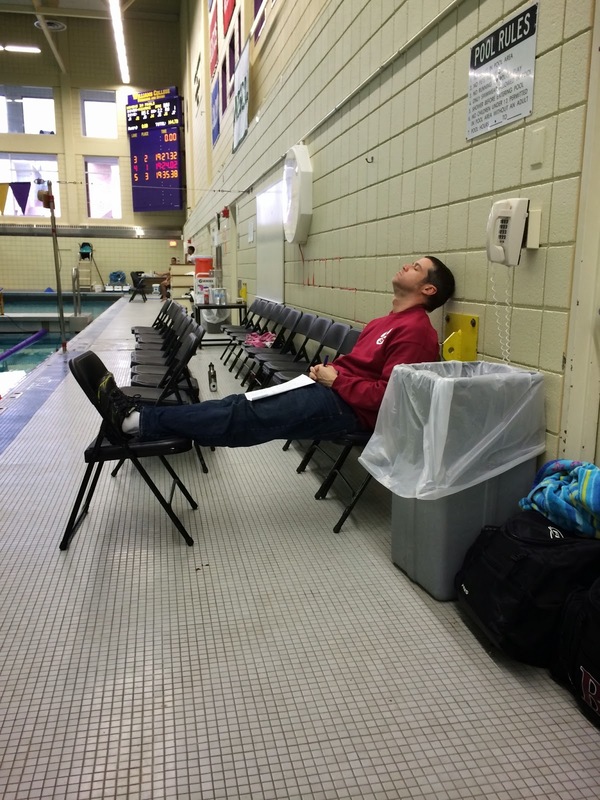 (We didn't had seven top 8 swims in the whole meet last year - and this was day one!). Even better too was we had Emma Jarczyk on the one meter getting 4th (another top 8! ), and Katie Stevenson finishing in that beautiful 16th spot! At night things continued to be great - we were in second place! 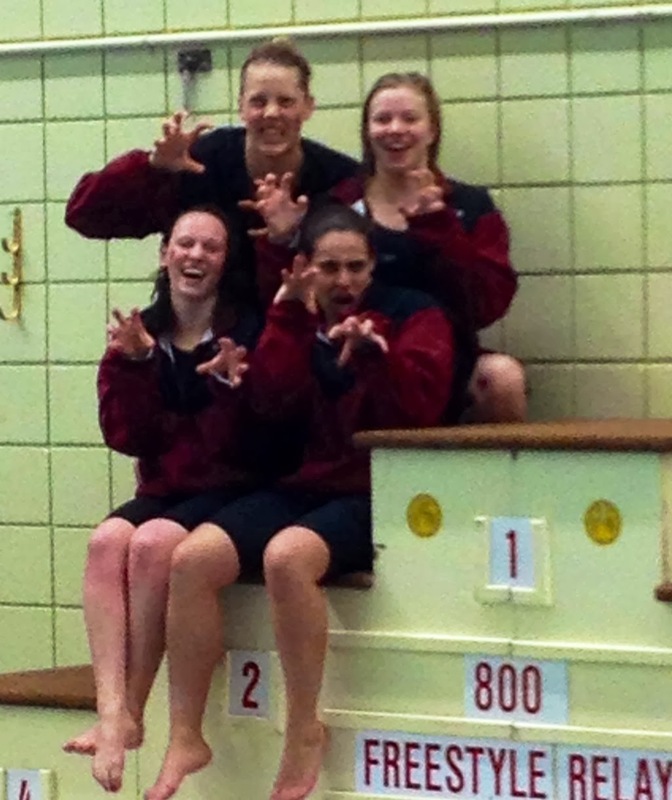 - and we capped it off with both the A and the B relay breaking the college record. What? They both were under it? What kind of depth do you have? What kind of training and improvement was going on? The A relay finished 4th too! They went a B-cut only .4 off what was invited last year!! Then the officials walk over. And the legacy of 'going-for-it' at night led to the other not-so-great (yet weakening) tradition of jumping relays. But I would always rather make a mistake then fail to try our best - so I am ok with it. I get upset, don't get me wrong (with the officials and/or technology of course), but it would be an absolute travesty to see a team trying to be safe when they have come to take the risk of being the best they have ever been. The message at dinner that night though... no one can ever take away the 8 relay performances that actually happened. Those swims were all perfect. The strategies were correct. The times were amazing. And they really did happen - whether or not we get points for them. They were real. No doubt. They can still own those swims, and call them a success. And you just don't get 8 women all "on" during a 4 minute period if the whole team wasn't doing it right all year long. We are going to be good tomorrow. No doubt. Emotional roller coasters like that are hard to handle, and we came back the next morning and relied on our training and team depth to get us through the session. Tons of night swims set up well, but we needed to get back to the hotel, look at a few mistakes on video, and figure out a few corrections. The night races could be better. No doubt. Everyone seemed OK with it. For the most part we were able to land in the right heats - and everyone knows NESCAC swimming is first and foremost about night swims, and scoring points for the college. That we had accomplished. Well, the quick chats, the rest, the video, it all helped. It all came together and worked. The evening was almost a blur of lifetime bests, accolades, podiums, national cuts, and school records. There were simply too many to go one by one, but let me tell you this - in all my years of coaching, I have never experienced a session that was more impressive. I hesitate to call anything the best, but yes, I haven't experienced better. From relays to individuals.... From top eight swims, to pre-consolation swims... and everything in between. 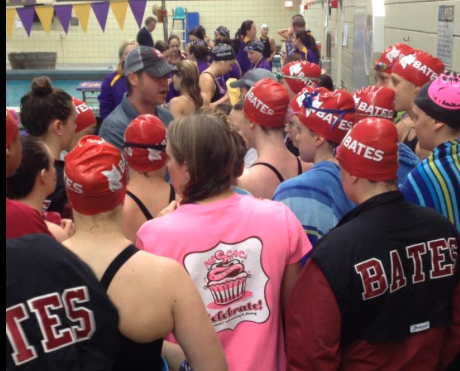 Every Lady made Bates proud. The sheer number of dropped jaws, and looks of amazement could only mean one thing, "I didn't know I could do that" - and that to me is what the previous 6 months of work should be about. We started with a NESCAC champion in the 1000 and finished with a 800 Free Relay punching Bates' FIRST EVER RELAY TO NATIONALS! with a come from behind 2nd place finish over Amherst (by a tenth!). It was phenomenal. They were truly tough individuals. They were a team that loved each other. And they believed in both themselves and the program. And believing can be so hard. There is nothing tangible there. You cannot objectively measure it, or truly put your finger on. It is simply a blind faith... a faith in your teammates, coaches, and self. Similarly, another intangible is imagination. A great mentor of mine (Jim Steen) would say it is imagination that trumps everything. Hard work is important, but imagination is the key. I get that after weekends like this. And I hope our Ladies never forget how powerful that is. Swimming is one of the best game and excercise for your body and mind. I am always afraid of swimming becasue i fear water but i guess if i have a trainer like the one they had i might learn in a day or two. After all trainer is the one who can motivate or demotivate you.